Maltese bishop Sylvester Magro has been advised by Libyan police to leave the Benghazi church where he is based as a precaution due to fears of violence. However, when contacted, he said he was still based in the church and everything seemed normal. He was asked to leave the church and seek shelter elsewhere between February 13 and 17, dates that coincide with the second anniversary of the uprising that toppled Muammar Gaddafi. 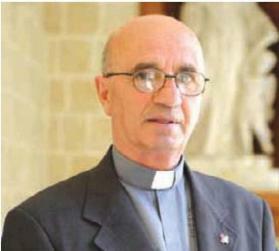 Mgr Magro told his Franciscan Order in Malta that he feared that abandoning the church would mean ‘looting and destruction of everything we have,’ as had happened two years ago. Last week, UK, German and Dutch nationals were told by their governments to leave Benghazi. Air Malta will be cancelling today’s flight to Benghazi. It also cancelled the flight last Thursday.